Occoquan Bible Church: Woodbridge, VA > Rise Up! 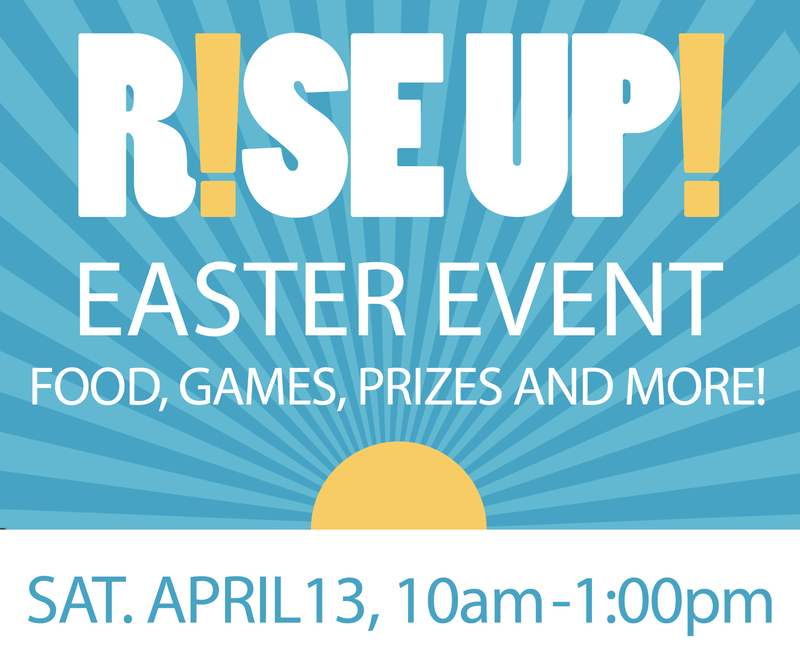 It's time for the annual OBC Easter event "Rise Up!" This event will feature Christian entertainment, games, crafts, food, music, fun and more! A great opportunity to gather as a family and to invite friends and neighbors to a Christ-centered event focused on the resurrection! Volunteer for the OBC "RISE UP!" Easter event here. Questions can be directed to Jeff Dionise.